The many reports coming from the Internet on this new virus that has raged now for a bit of time on the web, has led police State to increase prevention measures through every tool to ensure you try of those who surf the Net. In this context, the Postal Police and Communications concluded, just in the last few hours, an operation that allowed to thwart a criminal organization for criminal association aimed unauthorized computer access, online extortion and money laundering of illicit proceeds realized by the spread of the virus ” Cryptolocker “, which fell victim to private citizens but also companies, private and public. The scenario is as follows: the unsuspecting user receives on their email message that provides information about alleged shipments in its favor or a link on a purchase made on line by other services. Clicking the link or opening the attachment (usually a pdf document), the virus that is injected immediately encrypts the contents of computer memories, even of those which may be networked. At this point we realize the blackmail of cyber criminals that require users to re-open the file and regain possession of their documents, the payment of a sum of several hundred euro in bitcoin against which to receive e-mail a program for decryption. It is important not to give in to blackmail, because it is not certain that after payment is returned encrypted files! Keep updated software for your computer, obtain a good antivirus, always make a backup, or a copy of your files, but also pay attention to the email we receive, especially if expectations and avoid clicking on links or open attachments, are the most important tips to follow to prevent infection Cryptolocker. Nunzia Ciardi, Director of the compartment Postal Police in Rome said: “CryptoLocker is a particularly insidious phenomenon that threatens to render unusable the wealth of data that daily rely on our devices. However, we must absolutely NOT give in to blackmail that not only feeds the phenomenon of proportion , but it does not even guarantee to repossess our data. Much better to implement all the precautions that we as the Postal Police recommend, and anyway, contact our offices. ” For further information and to ensure a direct and continuous contact with the city, you can also refer to Police Headquarters On-line, for all those attending the network, characterized by innovative systems of interactivity with the user, find at the url : www.commissariatodips.it. The portal has just been built with special “app” for free download from their smartphone or iPad to allow you to respond to increasing requests for assistance and help users of the network, in real time, and to know more and more the world the web, its risks and its opportunities. * (The Bitcoin is a virtual currency, expressed with a number to 8 decimal places. 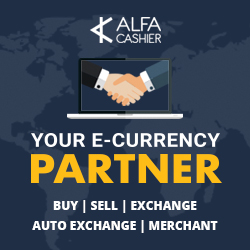 There is a central authority that distributes and that track transactions as the transactions are managed collectively by the network of sites through cd exchanger releasing coins Virtual pocketing money from credit cards or other electronic payment instruments, ie codes which in turn can be converted into cash). The value of a BTC is set by the market, as with any property (currently 1 BTC is about 217 euro, but this figure is likely to increase, whereas the maximum number of BTC can be produced through the cd. Process of “mining” which are open to all nodes in the network, it is set at 21 million). as there are to win one, as a varieties, we more often than not wager to gain.